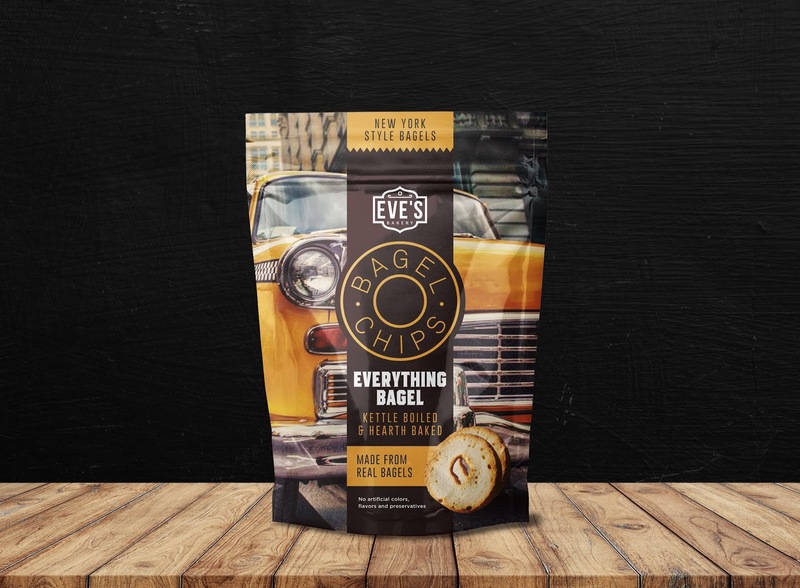 Bradford-on-Avon based Flipside Studio has recently completed the rebrand for Eve's Bagel Chips. The theme we ran with was that of New York, for snacks made from real New York bagels. We looked at various routes and executions including illustration and visual puns. The chosen packaging features iconic New York photography, with a bagel style badge and colour coding for each flavour.